Should architecture play a significant role in forcing us to make more sensible choices with regards to the use of space? Can space be used as an instrument to set boundaries for a sensible and more responsible use of it? Altering our attitude will not go gently and therefor will not be a tempting alternative. Perhaps we shouldn’t be so lenient and use pressure to obtain the desired results. For instance, a nice view from the office window, nice lighting, airconditioning, high speed internet, is granted or taken away according to the care one takes for their environment. 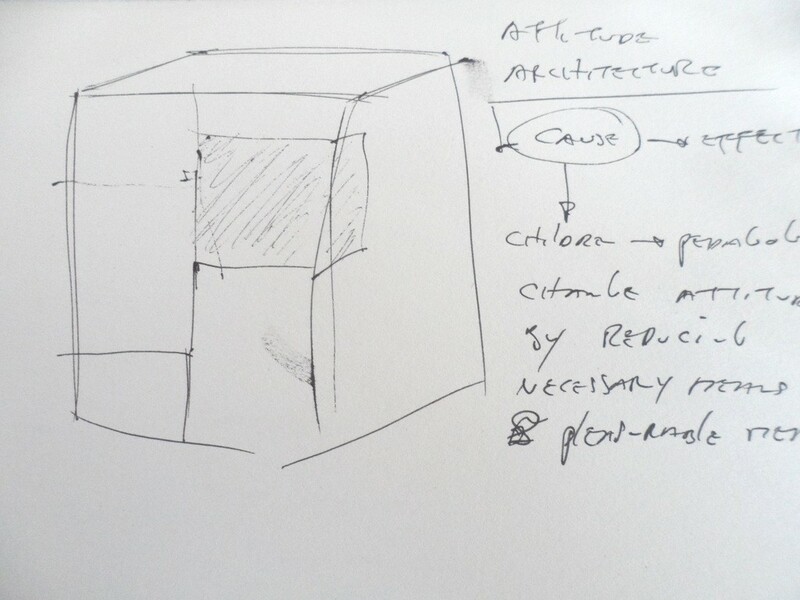 As a result of these thoughts I started playing with ideas I call ‘Attitude Altering Architecture.’ Spaces that reward sensible use of it but if you can’t rein your impulses, will penalize you for a self-centered and individualistic approach to space.